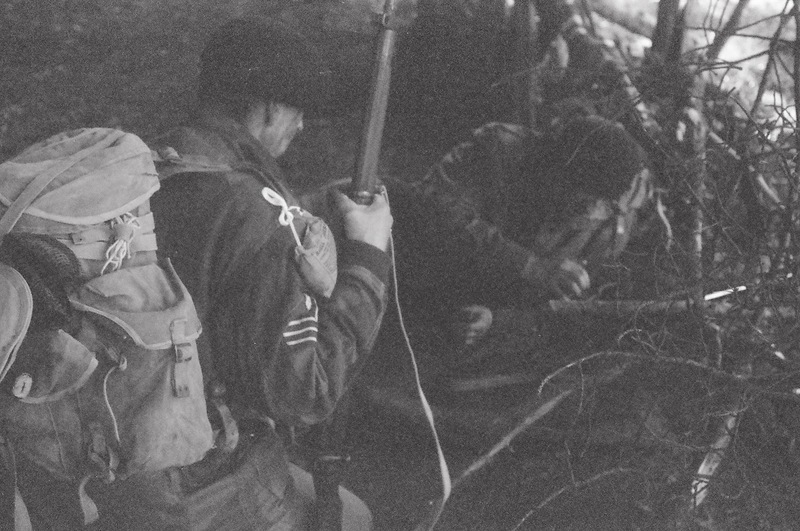 Operation Gliderswine was a night march and daytime living history display organised and carried out by a group of Dutch GPR enthusiasts to mark the 68th anniversary of the Glider Pilot Regiment's involvement in Operation Market Garden. Group member Peter Vrolijk has very kindly supplied us with a background to his new group along with a report on Operation Gliderswine. Roels Manders also took part in the march and was able to take plenty of photos using his 1955 FED3 camera and his modern Canon Eos 350D colour camera, which I'm sure you'll agree look superb. Although the organisation of a GPR living history group was tried a few years ago, this group was only formed in the spring of 2012 after an appeal on our forum. Our reasons for wanting to depict the GPR are because they are one of the most unique Regiments from WW2 with numbers in excess of around 1200 men - almost brigade size - but now nearly forgotten. All members are part of the VHM (Vereniging Historische Militaria). The VHM has several groups displaying Dutch, German, British, Canadian and US military forces along with a Group displaying as Dutch civilians during WW2 (some groups also depict pre-war and post-war military units). For more information please take a look at our webpage. The foundation of this GPR group is largly made up of those who also depict WW2 Commando units including Dutch, British and French Commando (No.10 & No.4 Commando). To commemorate the 68th anniversary of Operation Market Garden we decided to organise a night march from Oude Reemst to a point NW of the DZ at Ginkel Heath. 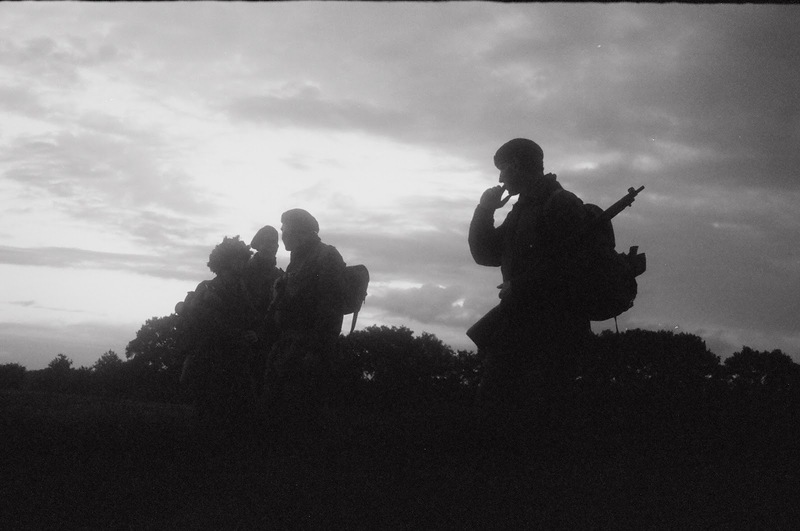 The group taking part in the commemorative night march (christened Operation Gliderswine due to the population of wild boar in the area) consisted of eight men. 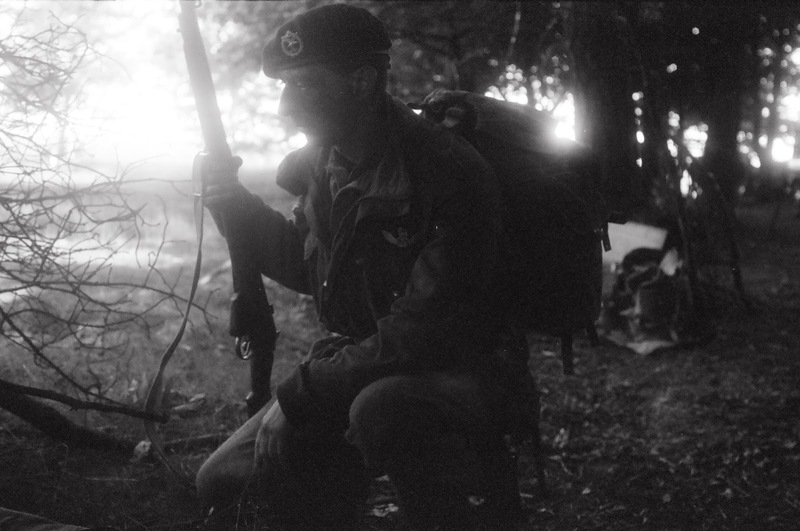 The CO. is Lt. Brian (Marcel van Sprongen) who also commands the Commando Group. Unfortunately he could not make it this time, but lucky enough for everyone involved he did all the organising and work prior to the event. One of the group members Erik de Bruin organised the tactical night movement. This is to his credit. A lot of coordination with local authorities had to be made but permission was granted to move through the night across the woods with weapons and equipment. 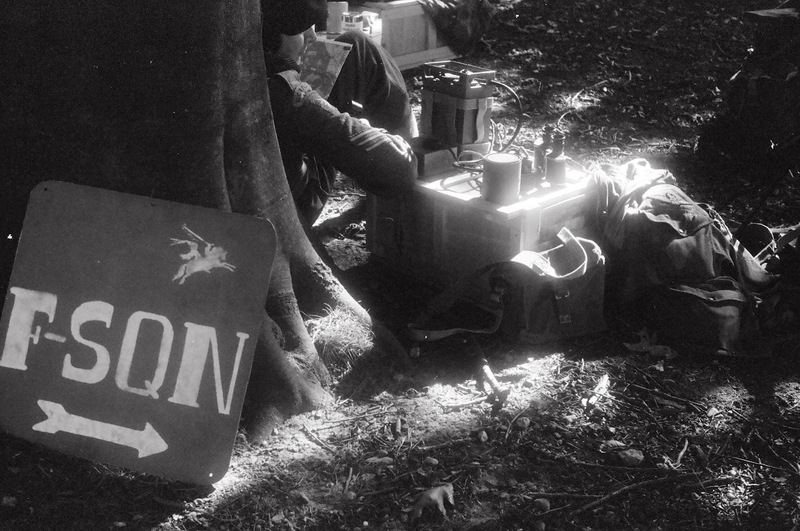 At the last moment we heard that we were not permitted to dig in when we reached Ginkle Heath , so alternative arrangements had to be made regarding the display of ourselves and our kit once we had reached our final rendezvous point. Ultimately, as we could not dig trenches and only a small display ‘above ground’ was permitted, we made it look like of a group of tired GP’s after a few days battle were on the move towards Oosterbeek and had rested during one of the many hold-ups along the way. "We started at about 20.00 hours from Oude Reemst. Weather was good, dry, almost no wind. temparature a bit cold. First stage of 2 miles was a bit difficult as everyone had to get used to the dark, bergens were heavy so everyone started to sweat after a about mile. About 550 yards from our first goal some cars came by so we had to get into cover which went well. First stop of 45 minutes in the woods, 500 yards from the track. Second stage of 4 miles went very smooth. No one was tired when we arrived at about midnight at the point were we wanted to spend the night. We had walked very fast, maybe too fast for a tactical move... again we had so dive into cover twice, but still no one saw us... Tried to sleep, but had only our gas-cape or groundsheet . No tents or sleeping bags. Started to drizzle a bit, not much, but still, very uncomfortable. Stayed till 06.30 in this position with two men on guard, but no one could sleep as it was very uncomfortable and cold. We moved further at first light and arrived at our destination of Ginkel Heath at about 08.00 hours. It was a very interesting experience. You can't see a thing at night, and our boots made a hell of a noise... I think that germans would have heard us from miles away. The day at Ginkel Heath was very busy as there was a large crowd. The papers say that about 75,000 people were in attendance." It’s our intention to work on a more permanent GPR group and first steps have already been taken to do so. We have no website as yet, but I am working on a small one myself and will let you know when it's online. Words courtesy of Peter Vrolijk 2012. Images courtesy of Roels Manders 2012.